Shona Heaslip and Mick Clohisey are among the Irish athletes set to compete in London later this month. 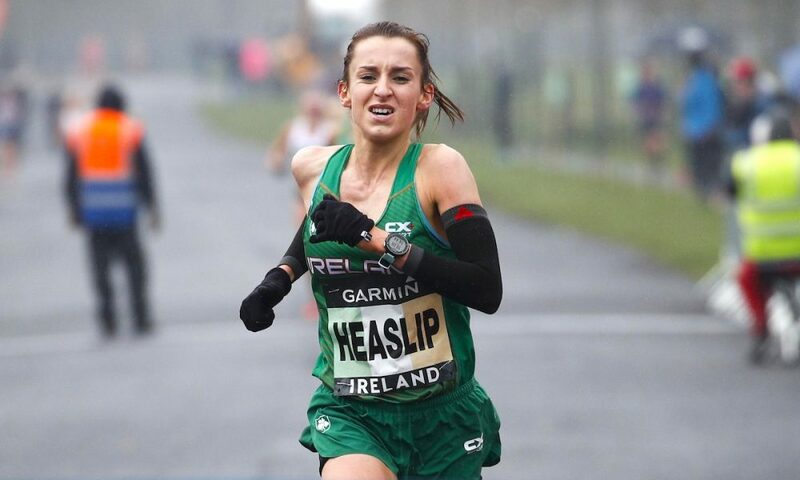 Heaslip heads the women’s selection of four set to represent Ireland at the European 10,000m Cup which is incorporated into the Night of 10,000m PBs at Parliament Hill in London on May 19. The Irish 10k road and cross country champion finished second at the Great Birmingham 10k on Sunday (May 6) and is joined by Ann Marie McGlynn, Emma Mitchell and Fionnuala Ross in the team. Letterkenny AC’s McGlynn was the winner of Omagh half marathon last month, while Queen’s University AC’s Mitchell competed over 10,000m at the Commonwealth Games where she clocked 32:49.91 to improve her own Northern Irish record. Having enjoyed success on the roads in the last couple of years, Glasgow based Ross, who competes for Scottish club Shettleston and Northern Ireland’s Armagh AC, stepped back onto the track at the recent Scottish 10,000m Championships where she won the women’s title in a time of 34:05.59. Irish Olympian marathoner Clohisey heads the men’s selection, with Sergiu Ciobanu, Stephen Scullion and Hugh Armstrong completing the team. Raheny Shamrock athlete Clohisey, who has a 10,000m best of 29:24.36, won the Sonia O’Sullivan Cobh 10-mile road race last weekend. Along with Clohisey, Clonliffe Harriers pair Ciobanu and Scullion were also recently named in the Ireland marathon team for the European Championships in Berlin this summer. USA based Armstrong of Ballina AC completes the Irish team. The 23 year-old has a 10,000m PB of 29:16.73 and earlier this year clocked a 5k road best of 14:28 at the Armagh 5k. The British team of 12 that includes Ben Connor and Jenny Nesbitt was named earlier this week and can be found here.